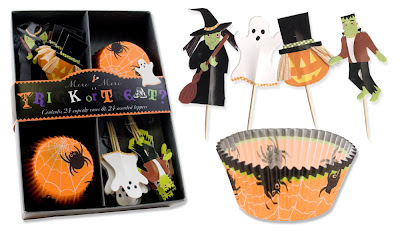 These cupcake decorating kits by Meri Meri are perfect for upcoming fall parties and events, like Halloween and Thanksgiving. Dress up a plain cupcake with a cute wrapper and themed topper, like a ghost, jack-o-lantern or turkey. Dessert has never looked so stylish! 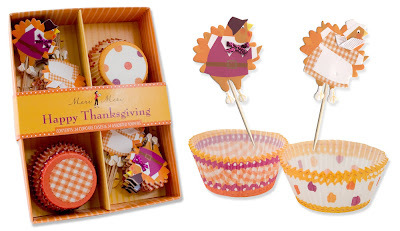 Right now, you can save 10% on select seasonal and holiday items at FineStationery.com. These fun cupcake kits are among the many items included in the savings! Happy shopping!